Australia is surrounded by ocean, so it is not immune to the effects of tsunamis. But how significant is the risk? Australians are well versed in the homegrown natural hazards that we encounter every year, from bushfires in summer to storms in winter, cyclones up north and flooding along our rivers. But we don’t often stop to consider the threat posed by tsunamis. Should we? Tsunamis are essentially a series of waves in the ocean. Where regular waves are caused by wind, tsunamis are caused by the large-scale vertical displacement of the water column. Events that can generate tsunamis include submarine landslides, submarine volcanoes, and asteroid impacts. But by far the biggest cause of tsunamis is submarine earthquakes. The vast majority of these occur at “subduction zone” tectonic plate boundaries, where two tectonic plates are colliding. Indonesia and Japan are both close to active subduction zones that cause tsunamis on a relatively regular basis. These tsunamis can be catastrophic in scale, as we saw with the Indian Ocean tsunami in 2004 and the Japanese tsunami in 2011. 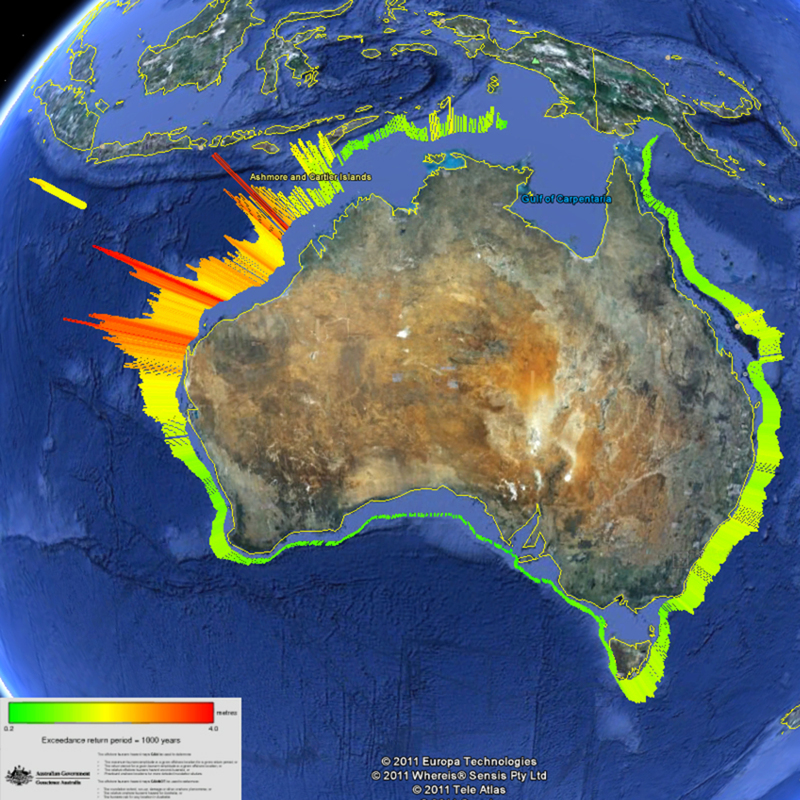 Australia is relatively lucky when it comes to tsunamis. We sit in the middle of a tectonic plate, some distance from the nearest subduction zones. Tsunamis created by subduction zone earthquakes at these trenches have several hundred to several thousand kilometres of ocean to travel across before reaching our shores. For those of us on the east coast, the nearest subduction zone is the Puysegur Trench south of New Zealand, more than 1,000km away. Because tsunamis travel as fast as jet liners in the deep ocean, a tsunami from the Puysegur Trench could reach Sydney in about two hours. This might seem fast, but in countries such as Indonesia and Japan that lie close to subduction zones, a tsunami can arrive within about 15 minutes of an earthquake. The last significant tsunami to reach Australia was the 2011 Tohoku tsunami that devastated Japan. Strong and unusual currents were observed in Sydney and Port Kembla harbours, and several swimmers were washed into the lagoon at Merimbula in southern New South Wales. The tsunami waves recorded in the tide gauge at Port Kembla were only 35cm high, but were still large enough to alter the currents and affect ship movements in the harbour. Although Australia did not experience the devastation that occurred in Indonesia, Thailand, India, Sri Lanka and other Indian Ocean nations, the 2004 Indian Ocean tsunami still had an impact. Localised inundation was observed in towns in Western Australia and more than 30 swimmers had to be rescued. Boats were damaged in marinas from WA to as far away as Tasmania. Going back even further, the 1960 Chilean tsunami was a Pacific-wide event caused by a magnitude-9.5 earthquake. This was recorded at the Fort Denison tide gauge in Sydney Harbour with wave heights up to 84cm. Strong currents were recorded in several locations throughout Sydney Harbour and boats were pulled off their moorings in Middle Harbour (Sydney), Newcastle and Eden. 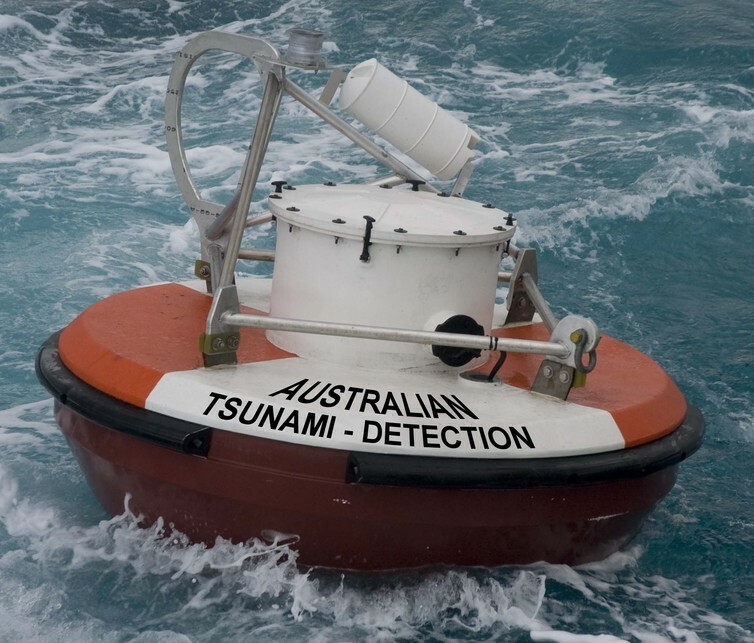 The catastrophic impacts caused by the 2004 Indian Ocean tsunami prompted the Australian Government to set up a warning system. This system monitors earthquakes around the Indian and Pacific Oceans to identify those with the potential to cause a tsunami. It can then use satellites, deep ocean tsunami sensors, and tide gauges to observe any tsunamis that are generated. Using this information, the impact on the Australian coastline can be estimated, giving emergency managers time to warn communities. Geoscience Australia also modelled potential tsunamis from their source zones to just off the Australian coastline. This dataset gives us an idea of the relative threat for different parts of Australia. For most of New South Wales, a tsunami with a maximum offshore wave height of 40cm will occur, on average, once every 100 years. An Australian born in 2013 with an average life expectancy of just over 80 years has a 55% chance of experiencing an event of this scale. A tsunami of this size would be comparable to what Australia experienced during the 2011 Japanese Tohoku tsunami. In northwest Western Australia, the maximum wave height likely to occur once every 100 years increases to up to 1m. In contrast, in South Australia, the largest wave likely to be experienced at this time scale is 0.2m. The main threat from an event this size is to ocean users including swimmers, boaters and ports, rather than the kind of destructive waves that come ashore as we see on the news. It’s important to recognise that these measures of frequency are averages. Just because we’ve had the 2011 Tohoku tsunami doesn’t mean we’ll be waiting another 100 years for the next one; it could occur much sooner or, indeed, much later. However, there is always the potential for a much larger event, and organisations such as the NSW State Emergency Service are taking no chances and planning evacuation zones for major cities. Australia is a lucky country when it comes to tsunamis and we’re highly unlikely to see an event like what occurred in Japan in 2011 on our shores. But that doesn’t mean that we’re immune to tsunamis and further research will provide the evidence we need to be prepared.